I love doing Halloween pages - it's the perfect opportunity to throw lots of cute and kitsch product onto your page and to hell with the consequences! 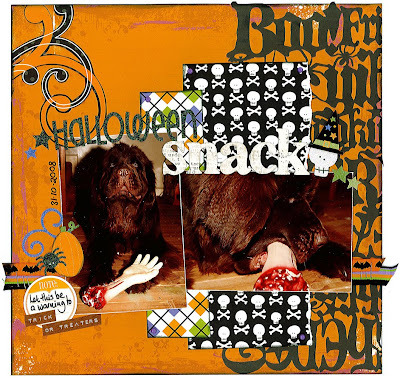 I adore the skullie paper from Doodlebug - i think a whole pack wouldn't be excessive! Surely I could wallpaper with it!? Famous smells.... in a good way! Have I mentioned I love Studio Calico? ?